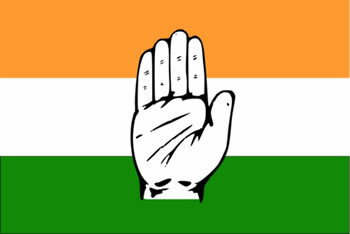 The Indian National Congress is the most successful party in India’s political history. Indian National Congress, also known as the Congress Party, is one of the largest democratic political parties in the world. The party was founded on December 28, 1885, by a host of its first ever members such as Allan Octavian Hume, Dadabhai Naoroji, Dinshaw Wacha, Womesh Chandra Bonnerjee, Surendranath Banerjee, etc. The Congress’ journey through the years can be bifurcated into two eras. The first was before India achieved independence, and the second is India's post independence era. In India’s pre-independence history, Congress emerges as the single biggest political party to have a considerable amount of influence over the political affairs of the nation. At this time under the rapidly expanding British imperialism, many members of the Congress party openly expressed their dissent over sensitive issues plaguing the masses. Poverty, discrimination, unemployment, etc. featured prominently among these issues. Sensing that the British would not yield to their demands, especially during the onset of the Second World War, the party decided to act in favor of voicing their concerns. The British exacerbated the prevalent scenario by showcasing India as belligerent in the Second World War, without its will and compliance. Prompted by such abject abandonment, an angst-ridden Congress decided to revolt against the state, by demanding complete independence. On 15th August 1947, Congress led India to independence, under the able guidance of leaders like Mahatma Gandhi, Jawaharlal Nehru and Sardar Vallabhai Patel. Mahatma Gandhi was the Congress president during this period, and is credited as being the chief architect of Indian independence. Corroborating this statement are his successful orchestrations of nationwide non-violent movements, such as the non-cooperation movement and the civil disobedience movement, which forced the British to leave India. History points at Congress as the most successful political party of India. This isn’t surprising at all, as Congress has gone on to form most of India’s governments, from the time of its independence. In the 15 general elections since independence, the Congress has won with an outright majority on six occasions, and has led the ruling coalition a further four times, heading the central government for a staggering 49 years. For most parts of these years, Congress thrived under the leadership of the Nehru-Gandhi family, with leaders like Jawaharlal Nehru, Indira Gandhi, and Rajiv Gandhi at the forefront. Development of the nation and its infrastructure were at the heart of Congress' policies all through this period. However, in times when the country began achieving a sizeable foothold in many respects of development such as economy, science and technology, culture, arts, sports, etc., the party has appeared to instinctively adapt to such progression. One such prime example is Congress' NEP, the New Economic Policy. The party moved from its conventional practice of observing and implementing socialist economic policies in the 1990’s, when it brought about significant economic reforms through its NEP initiative. The New Economy Policy sanctioned the liberalization of Indian economy and endorsed globalization. Many market reforms and refurbishments in the public and private sectors, opened floodgates of development within the country. The Congress continued its progressive march in the new millennium by being elected into power in the country’s 2004 and 2009 general elections. The Congress party features politicians and leaders such as Sonia Gandhi, Rahul Gandhi, Priyanka Gandhi, Dr. Manmohan Singh, Kapil Sibal, etc. Transforming India into a super power, is one of the key agendas of the Indian National Congress.